FishHawk Ranch POOL Home ~ $315,000! Located on a Spacious Corner Lot in the Bevis Elementary School District. Boasting just under 2,100sqft with 4/2/2 Car Garage. Gorgeously Appointed & Beautifully Maintained! It doesnt get any better than this! A Handsome Front Porch and Lush Landscaping greet your arrival. You will Fall in LOVE with this open concept. upon entering notice impressive formal living and dining rooms to the left. Continue through and take in this lovely and well cared for home features and Stunning Upgrades like: Plantation Shutters, Wood Laminate Floors & 5 1/4 baseboards throughout the living areas and master suite, New Carpets in secondary bedrooms! The Gourmet kitchen offers granite, tile backsplash, dinette area, New Range, New Dishwasher, New Refrigerator and Lots of storage in your Upgraded Cabinets! Retire to a generously sized Master Bedroonw/A dreamy remodeled bath complete w/ frameless glass shower and exquisite tile! Your Own Private Oasis! Complete with a Covered patio, Screened Lanai and Sparkling Pool! Live the Dream in the Resort Style Community of Fishhawk Ranch and Enjoy All of The Wonderful Amenities! 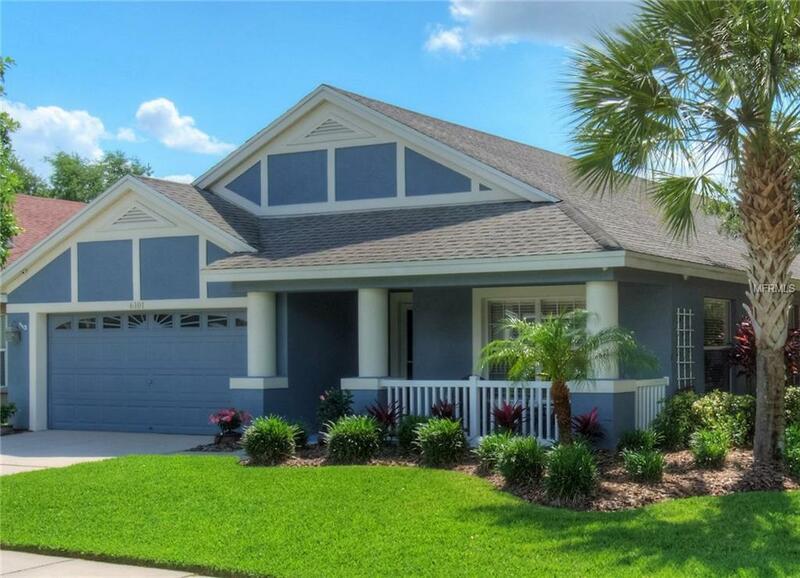 This Home Sweet Home is located just minutes to shopping, restaurants, MacDill AFB, Downtown Tampa, Golf Courses, TIA and Sugar Sand World Class Beaches!